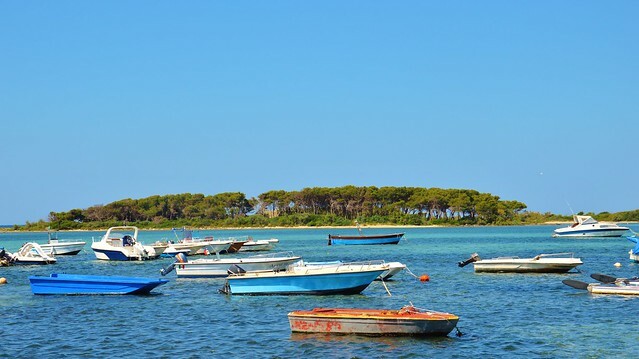 Located about 10 miles Northwest of Brindisi is the WWF Natural Reserve of Torre Guaceto, its name comes from the Arab Gawsit meaning “land of fresh water”. Since 1975 it has been declared a wetland of international interest and in 1991 a protected marine area has also been constituted. 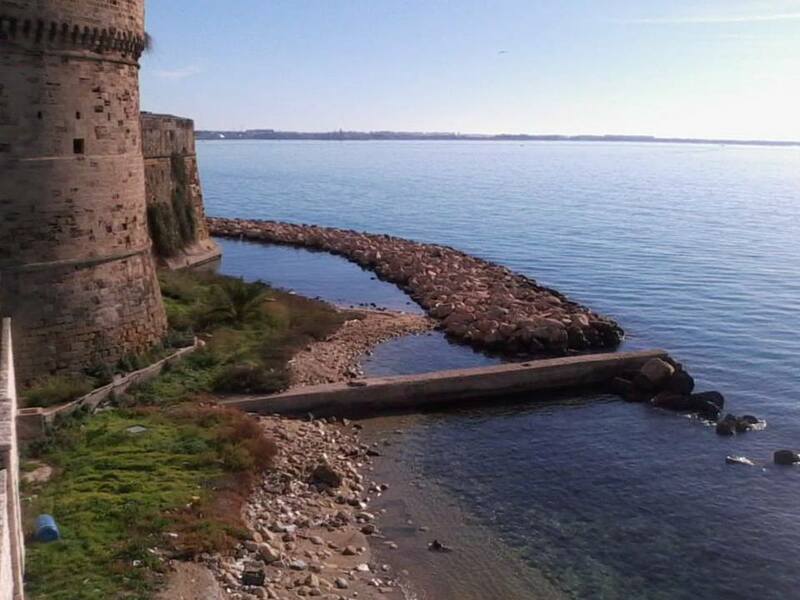 The reserve covers an area of nearly 22 km2 and 8 Km of coastline spread around the ancient fortified tower and is one of the best preserved stretches of coast along the Adriatic coast. 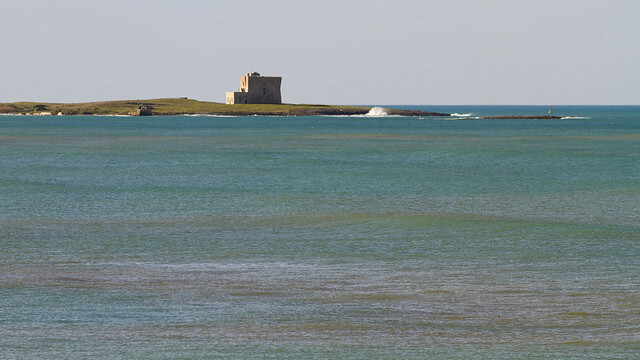 The whole area is characterized by the different environments that include wetlands, marshes and dunes that rise up to 10 meters, the Mediterranean maquis and agricultural land. Its protected oasis represents the perfect habitat for many animal species: it attracts many species of migrating birds and turtles and reeds are also present inland. The agricultural area is characterized mostly by large olive trees groves bordered by the typical dry stone low walls. The wetland is probably the most characteristic of the entire area. It is fed by underground spring water and covered with thick reeds grove. However the water is brackish as the whole area is located along the coast. The Mediterranean maquis, mainly covering the northern part of the reserve, is an ecosystem typical of the whole region: it consists mainly of shrubs and small trees but other species such as juniper, myrtle, thyme and oak can also be found here. 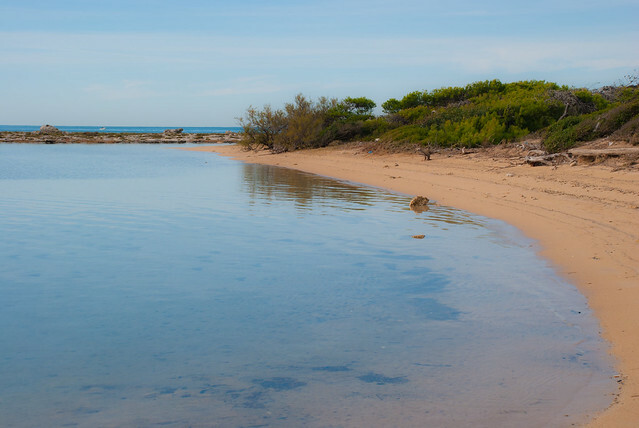 Lots of activities are available in the reserve to better discover this amazing place and enjoy your stay in the area: walks, cycling tours and snorkelling in the marine reserve are organized (bicycles and snorkelling outfit can be rent onsite). 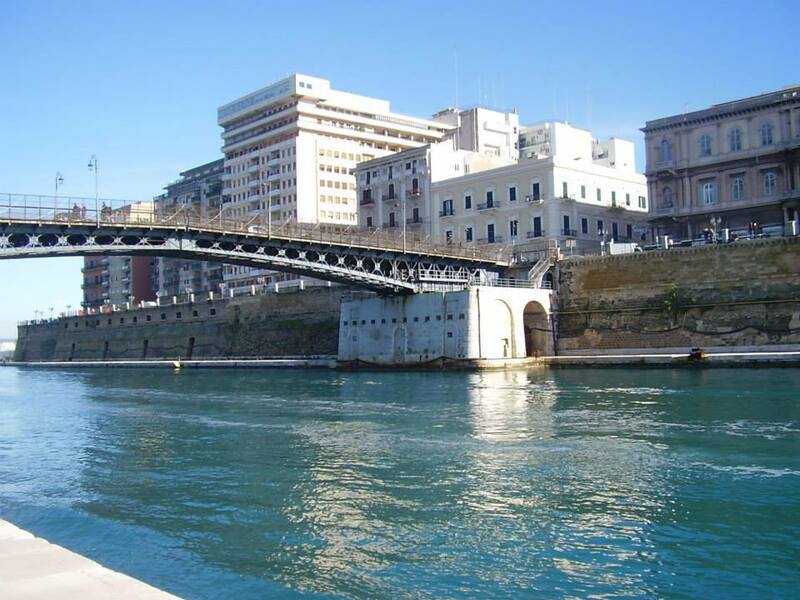 Taranto is a big city and capital of the namesake province of Taranto. 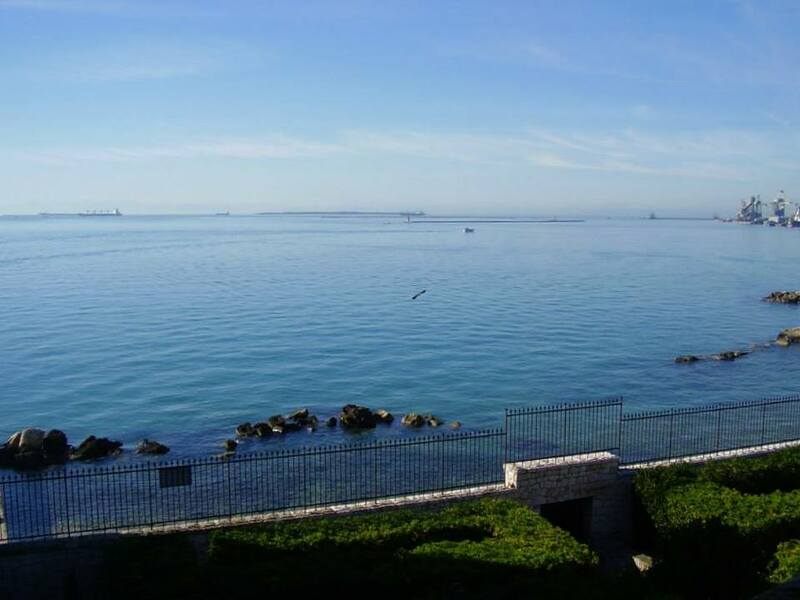 Located on the coast it overlooks the Ionian Sea. It is called city of two seas as it lays on an isthmus that divides the Great Sea (Ionian Sea) from the Small Sea (an inner basin). The city consists of three different parts: the old town situated on a low rocky island between the two seas (here is where the oldest buildings are located), it is connected to the Borgo via a bridge and to the new city via the swing bridge (Ponte Girevole). The Borgo is mainly an industrial and commercial area, the new city is a mix of streets forming the grid pattern new city center. Two canals connects the two seas running alongside the small island. 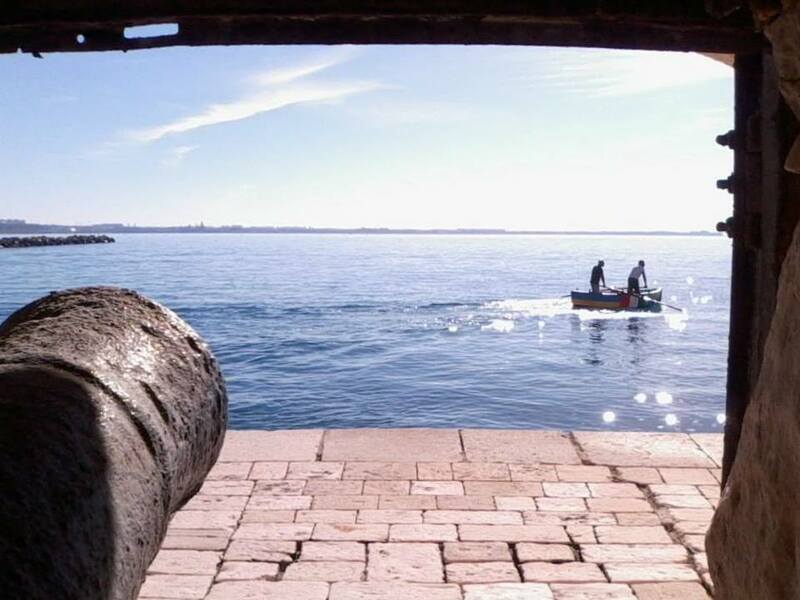 The historic origin of Taranto dates back to 706 BC when a colony of Spartans landed on the shores of the Gulf. However as the story goes, its foundation is linked to an heroic warrior named Taras (Taras was the first name of the city) who was the son of Poseidon, god of the sea. While celebrating a sacrifice on the banks of a small river in honor of his father he saw a dolphin and that was the signal that in that place he would have found a new city. Even today, the emblem of the city of Taranto depicts Taras riding a dolphin. 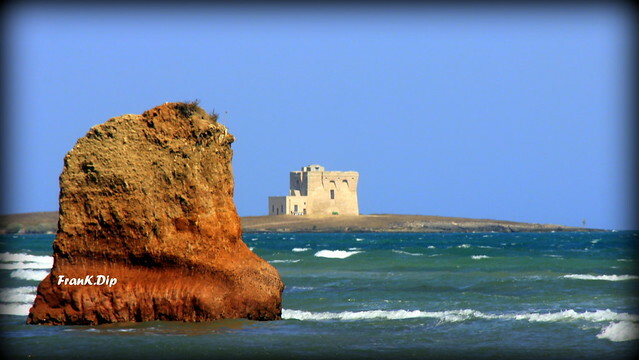 Taranto was a major Greek colony and one of the largest city of Magna Graecia. At that time the city had more than 300 thousand inhabitants, its fertile land and the sea abundant in fish used to attract the neighboring populations. The city very soon became an economic, military and cultural power and many beautiful buildings, temples, baths and museums were built. The Pythagorean school was also founded and great importance was given to culture and art. In 281BC Taranto began the conflict with Rome (it is said that the people of Taranto stained the robe of an ambassador from Rome while he was in a theater in the city and this was the pretext to declare war). The city fought and received help from Pyrrhus, king of Epirus, and Hannibal, but was conquered and ruled by the Roman Empire with Fabio Massimo. 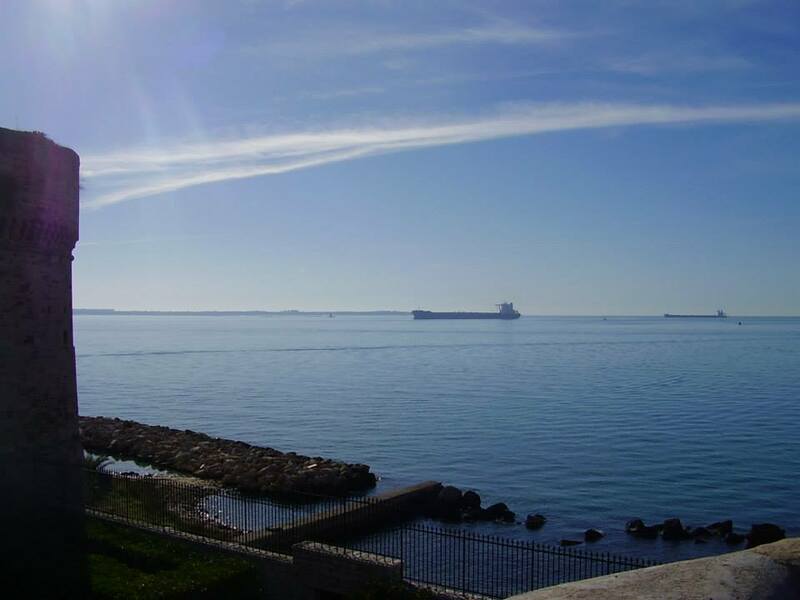 At that point the greatest power in the Mediterranean had disappeared and Taranto became a small fishing village. After the collapse of the Roman Empire, the city was conquered and sacked several times (like the rest of Puglia) by different civilization, including: Ostrogoths, Saracens, Lombards, Byzantines and Normans. The city became powerful again after the French Revolution. Taranto in 1860 was united to the Kingdom of Italy and the fate of the city changed rapidly: in 1887 the swing bridge, connecting the new city to the old one, was opened ; in 1889 the maritime arsenal was opened and this gave impetus to the economy of the area and turned the city into a military power. 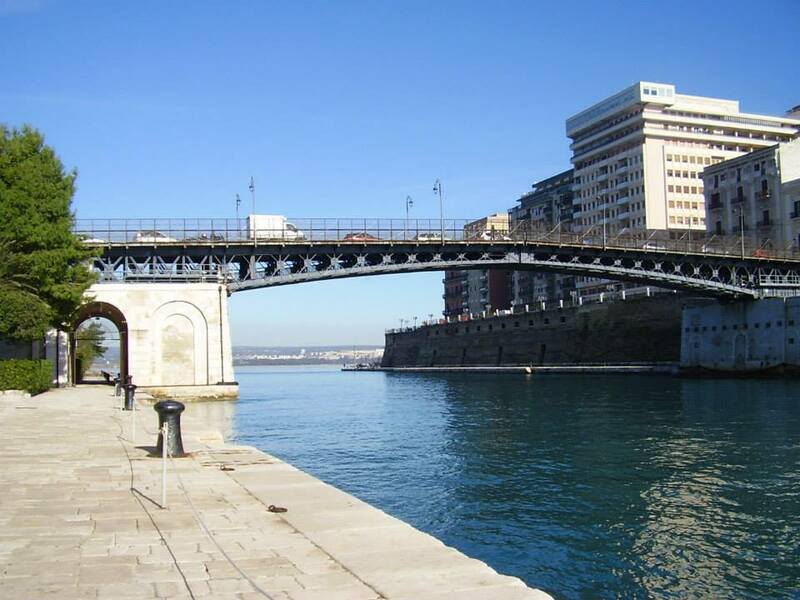 Taranto was chosen by the French and English as military base during the two world wars. 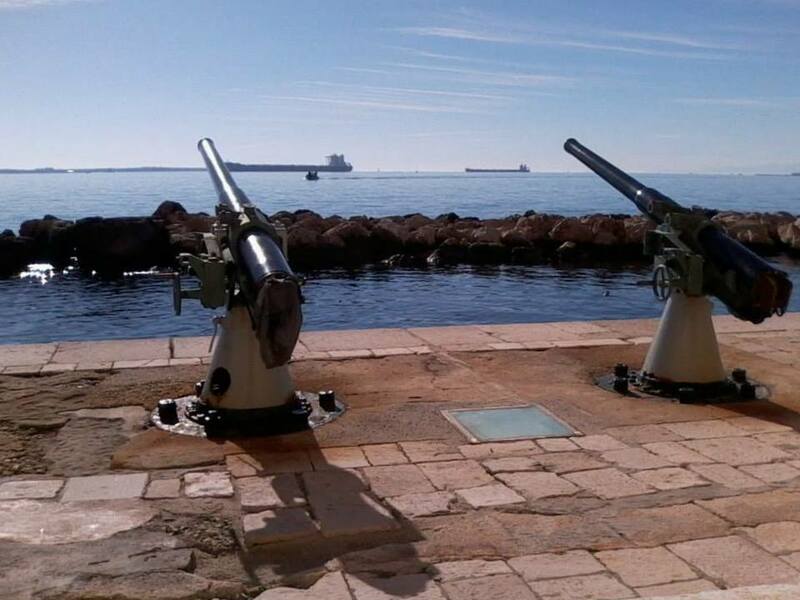 During the Second World War the city suffered an heavy bombardment (now remembered as the night of Taranto). Famous is the quote of the English Admiral Andrew Cunningham: “Taranto, and the night of November 11th – 12th, 1940, Should Be Remembered for ever as shown HAVING Once and for All That in the Fleet Air Arm the Navy has ITS Most devastating weapon”. Numerous monuments and buildings scattered around the whole area prove this long and glorious history. Suggestive are the remains of the Doric Temple or Temple of Poseidon (father of Taras, the city’s founder) in the old city. One of the most popular tourist destination in the city is the Saint Cataldo Cathedral (Irish Bishop who died in Taranto in the 7th century and Patron Saint of the city). It was built in 1071 in the heart of the old town and has undergone several renovations over the centuries showing now different styles: baroque in the facade and byzantine in the dome. The interior is divided into three naves and includes the chapel of Saint Cataldo which is made up of a massive altar (that guards the bones of the Saint) and is decorated with statues and frescoes. 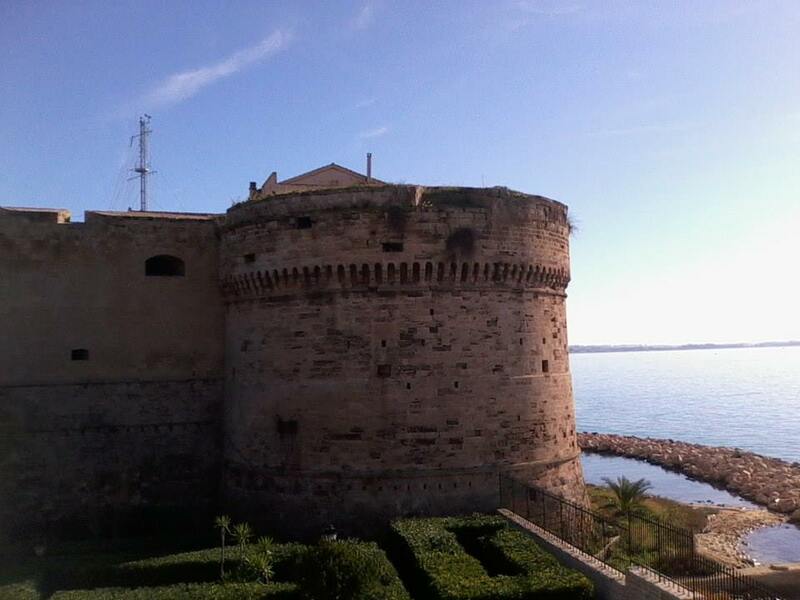 The Aragonese Castle was built in 1481 on the ruins of a Norman-Swabian castle but the first construction dates back to the 916. 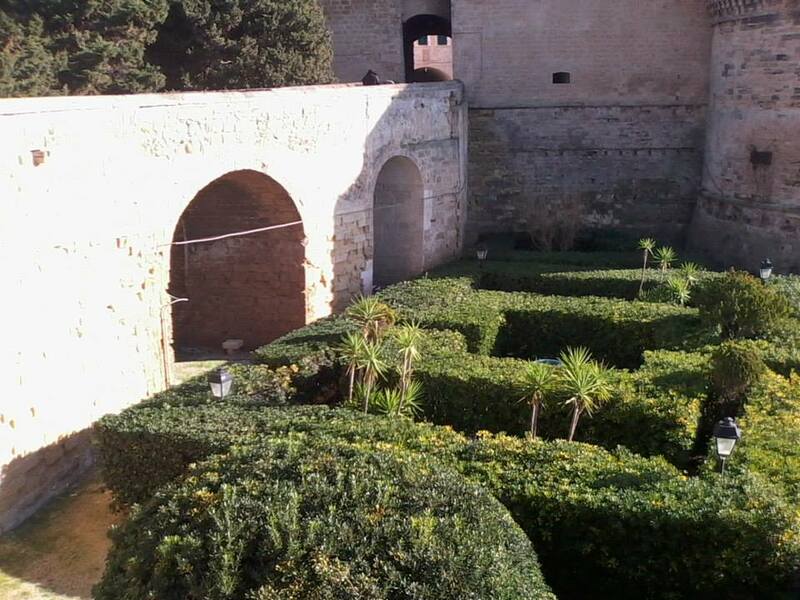 The fortification has 4 towers, and a quadrangular courtyard. 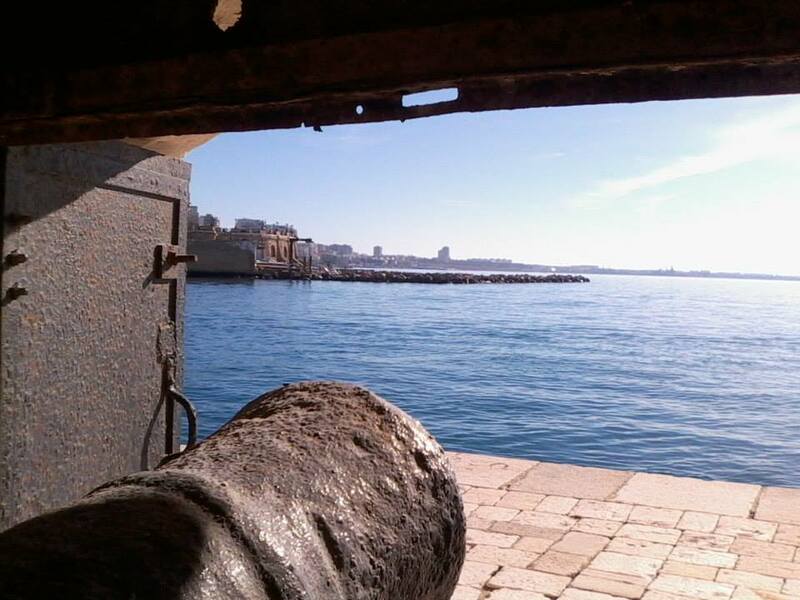 Built for defensive purposes, in 1887 it was assigned to Navy. 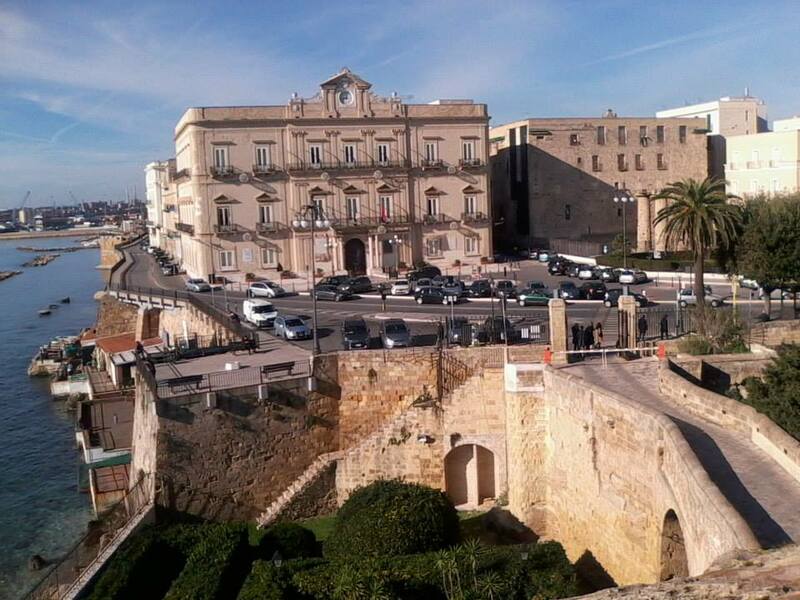 Numerous remains of all ancient civilizations that ruled the city are guarded in the National Museum of Taranto. Named MARTA, an acronym for Archaeological Museum of Taranto it is one of the largest and richest in Italy with its 50000 Greek and Roman archaeological remains including ceramics, mosaics, coins and above all jeweler the museum has a huge collection of earrings, necklaces, rings, tiaras and bracelets. 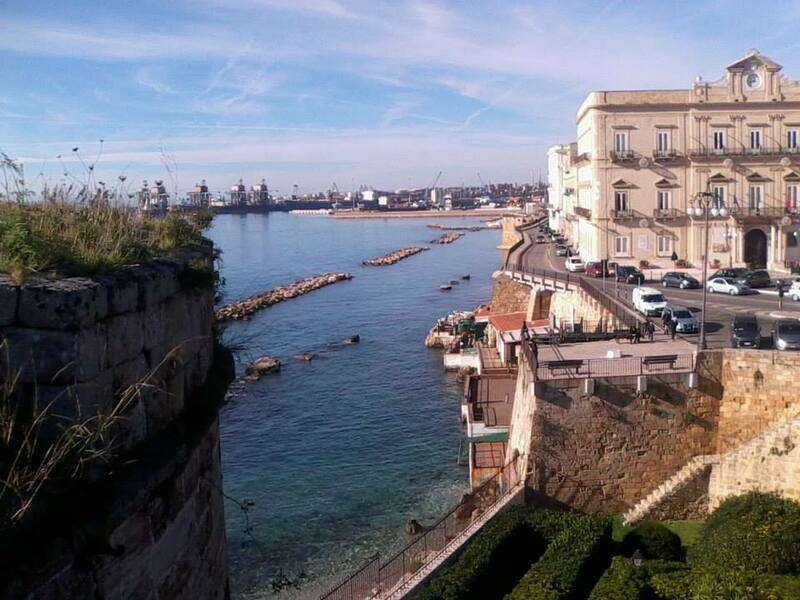 Finally, not to be missed is the seafront Vittorio Emanuele III overlooking the Great Sea which offers a romantic and suggestive view especially at sunset. Oria is a small lovely town in the province of Brindisi; it is located halfway between Brindisi and Taranto in the northern part of Salento. It is built on top of three low hills and can be seen from afar as it is dominated by the big castle, built by Frederick II. 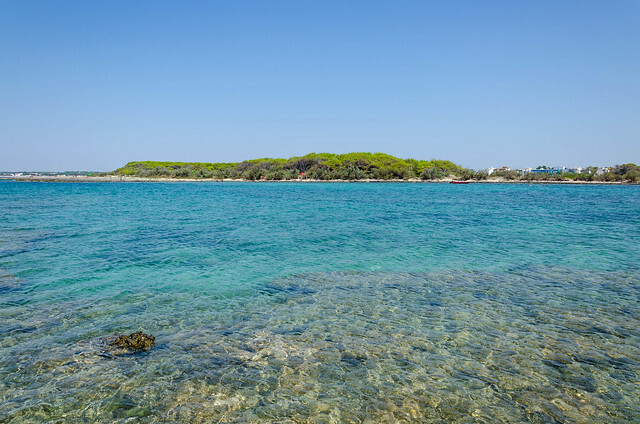 Oria is definitely a must-see for those who are spending holidays in the Salento area and thanks to its strategic location it is easy reachable from both the Adriatic and Ionian coast. It has ancient and glorious traditions. According to information handed down by the Greek historian Herodotus, it was founded around the 1200 BC by a group of Cretan castaways and it was named Hyria. As most of the cities in Puglia, Oria was ruled by Romans and during that period it had a great importance as it sits only a few miles away from the Appia Road (which Romans built to connect Rome to Brindisi). Upon the fall of Roman Empire it was dominated by different civilizations such as the Greeks, the Lombards and the Byzantines. Oria was also an important Jewish colony; the Jewish presence in Oria is one of the oldest in Europe though the community is no longer present in the town. However the Jewish ghetto, made up of twisting alleyways and named Giudea, is still well preserved by the Porta Ebrei (Gate of Jews). 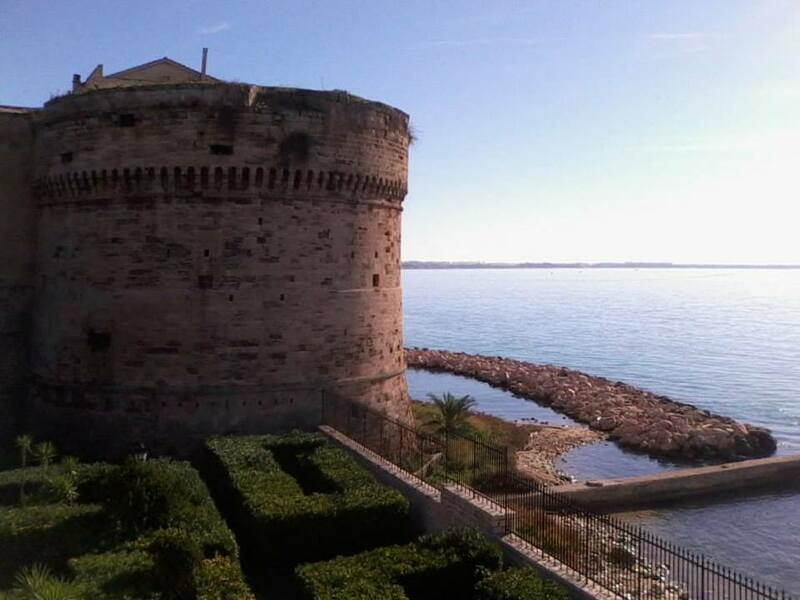 Between 1225 and 1233 the town was ruled by Emperor Frederick II who built the glorious castle in the highest part of the town and which still today dominates the town and the whole surrounding area. Oria has always been a place of great writers, artists and intellectuals. The town has been the bishop’s see from apostolic times. Today the town retains its beauty and provides visitors with ancient archaeological artefacts and pleasant walks through its old town. The old town is characterized by steep and winding narrow streets leading to the castle and very often widen to form beautiful squares and charming courtyards. In one of these squares is the Basilica Cathedral, getting up here is a good walk but it is worth a visit as the nearby piazza in front of the massive Basilica Cathedral is breathtaking. On a clear day, it provides views of both the Adriatic Sea and the Ionian Sea and of the immense olive trees groves. The Cathedral, been built in Baroque style, has Latin cross plant, three naves and a colored tiled dome. It also guards remains of the Messapian and Roman civilizations, such as a cistern and tombs of monks and bishops. The Castle is an imposing mansion which was built in the highest part of the town on the ruin of the ancient Messapian acropolis between 1225 and 1233 by order of Emperor Frederick II. Frederick intended the castle to be a defensive fortress: it has a triangular plant with the south wall having three towers 88 meters high and named Squared, Knight and Jump. The original castle had one square tower; subsequent rulers added the two round towers during the Angevin period. On the terrace of the tower “Knight”, a special marble slab shows the locations of the neighboring cities. Oria is undoubtedly famous for being “one of the Frederick II’s cities”. Since 1967, the town celebrates their Emperor with an event that can’t be missed. During the second half of August Oria stages one of Italy’s best medieval pageants when the town re-creates the splendors of the glorious ages by performing a historical Parade of Frederick II and the Palio dei Rioni (Tournament of the four districts). The event originated in 1225 when Frederick II decided to “amuse the loyal inhabitants of Orea” while waiting for his wedding with the bride Isabella of Brienne, which occurred in November of that year in the Cathedral of Brindisi. This historical parade is the most important recreation of the Frederick II’s domain period that takes place today in Italy. It’s a wonderful spectacle of colors and music, with over four hundred figures wearing original costumes marching on parade along the main streets of the town waving colorful flags and representing the four districts. Gloriously-costumed they march in a colorful procession through the streets of Oria re-creating original movements of noble ladies, knights, jesters, courtiers, pages and squires and celebrating faithfully the magnificence of the Middle Ages and the court of the Emperor. The parade is followed by a tournament that sees the four districts (Castello, Giudea, Lama and San Basilio) pitting against each other in a knights’ challenge and strength’s test.